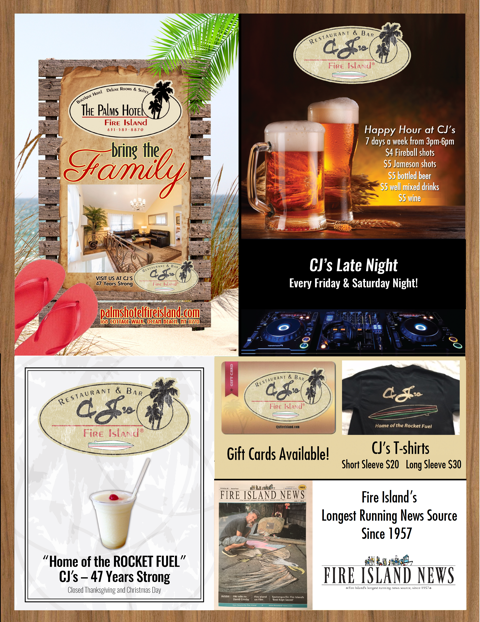 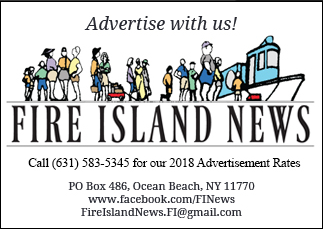 For 47 years CJ’s Restaurant & Bar have been serving food and fun to residents and vacationers of Fire Island. 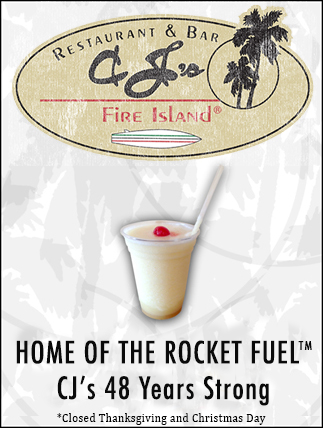 Known as the “HOME OF THE ROCKET FUEL™” CJ’s has become Fire Island’s landmark bar for this refreshing Fire Island must-have cocktail. 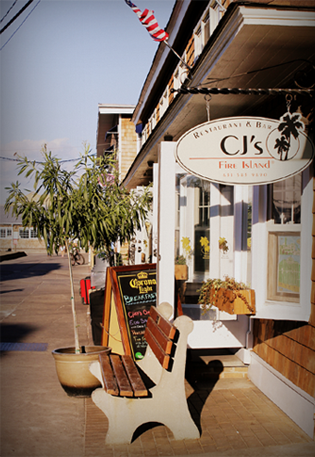 “I went with friends for dinner at CJ’s. 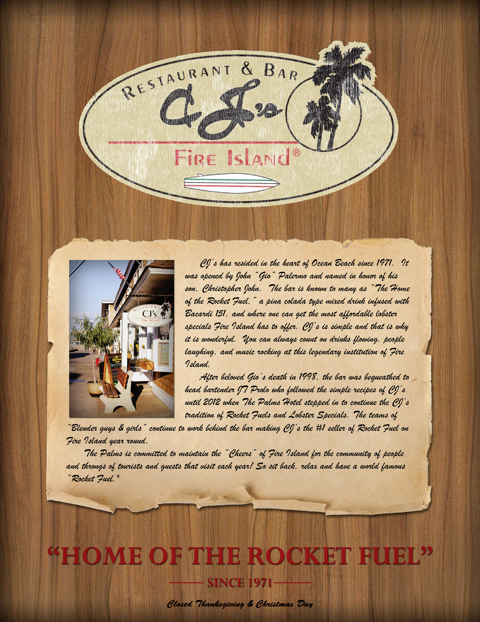 I had the best coconut shrimp. 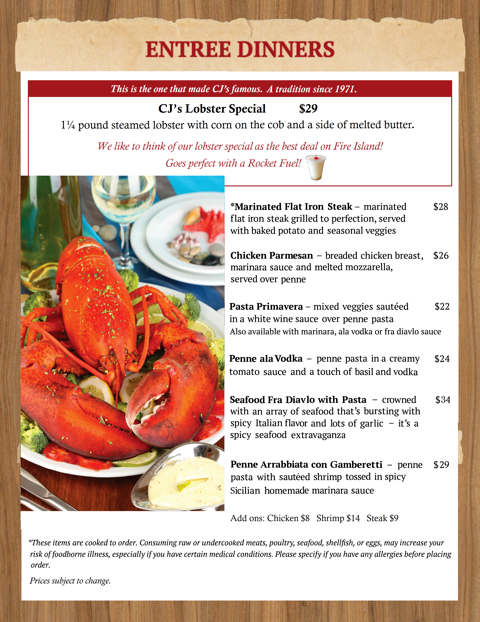 The restaurant was just remodeled and is beautiful. 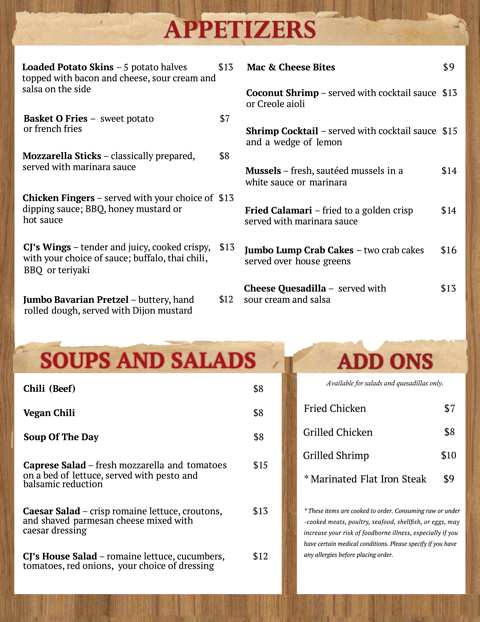 Staff is great.. I’d highly recommend it.” Camille M.
“Not only was the food and service great, but the Rocket Fuel was to die for! 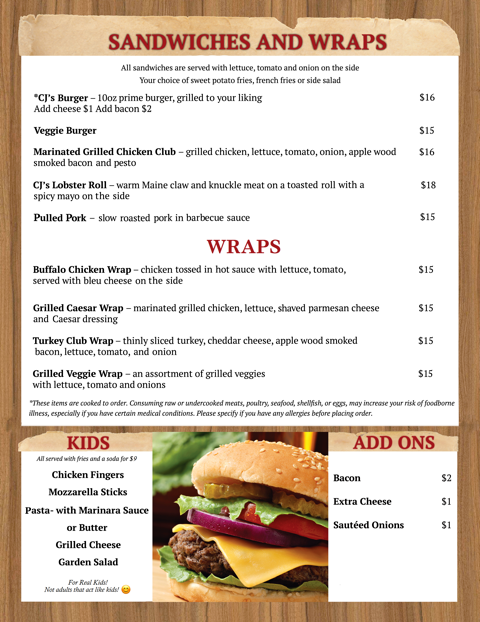 !” Tina S.
“..great new atmosphere. 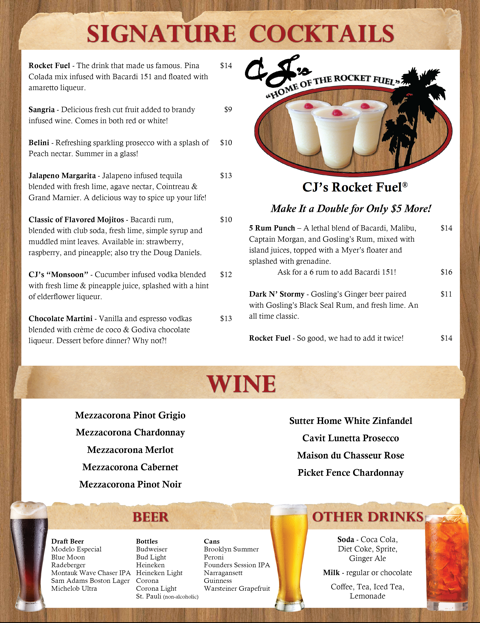 We’ll definitely be returning for more rocket fuels” Jennifer K.
“I will be making this my weekly outing” Christina S.